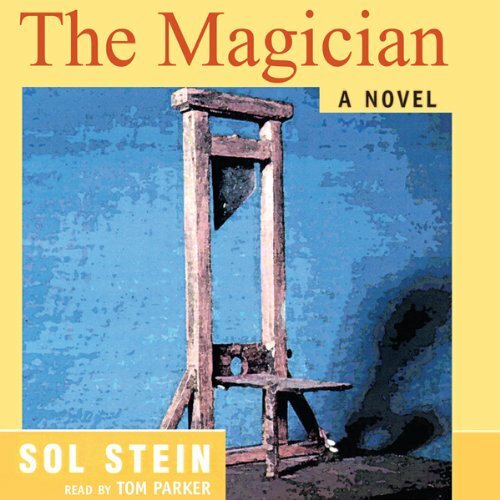 The Magician is the now famous story of two 16-year-old antagonists locked in the crucible of their high school from which neither can escape. Ed Japhet gives a skillful performance of magic at the school prom. After the prom, Ed and his girlfriend are beset by Urek, the leader of a school gang that extracts extortion money by "renting" kids their own lockers. Ed is the only student who refuses to pay extortion money. Urek's fury at Japhet's defiance results in an attempted murder, a criminal trial, and death, with a shocker of an ending. Selected by the Book-of-the-Month Club and widely taught in American schools, this book has sold over a million copies and has been published all over the world, including Britain, France, Germany, and as far away as Russia and Japan. I enjoyed this audiobook very much. Unfortunately, the audio quality is poor in some places. I loved this book -- I found the characters interesting and the reader excellent. If, like me, you are alway looking for unabridged titles, check this one out. I was spoiled by Frank Langella's reading of a Moon and Sixpence. His voice was perfectly matched to Maugham's words. I fell in love with Somerset Maugham's writing with this book. I was excited to see that he had a mystery. It was a real letdown when I downloaded the book and was subjected to this narrator's horrible narration. With a Moon and Sixpence, I was drawn into the story and the wonderful way that Maugham has with words. With the Magician, I could not get past the narrator. I will get the book. This is an excellent book completely let down by the narrator. I have heard two audiobooks read by this same performer and he has ruined both of them! It's quite a skill to make W.Somerset Maugham sound as thrilling as a telephone directory. If this was the narrator's intention then he has suceeded brilliantly. I wanted to like this book. Unfortunately, the story includes horribly out of date characters, even for its time. The judicial system will never change, and that part of the story is quite good. However, the women characters are paper thin, pasted in the story to support the men and to be abused by them. It's been a long time since I have read a book that had left me so disappointed. Tom Parker's narration was wonderfull. Small town American life circa 1971. A real time capsule. Good story. Kept me entertained throughout. Was there ever an author so forgotten...? Great book with an interesting pedigree, brisk pace, well told, well read - something really out of the ordinary. Why have we forgotten Somerset Maugham? The themes here are really very contemporary and the style is anything but dated, I really enjoy everything that he wrote - short stories through to the better known mainstream novels. And yet 'The Magician' holds no better place than a 1950's B movie...try it!